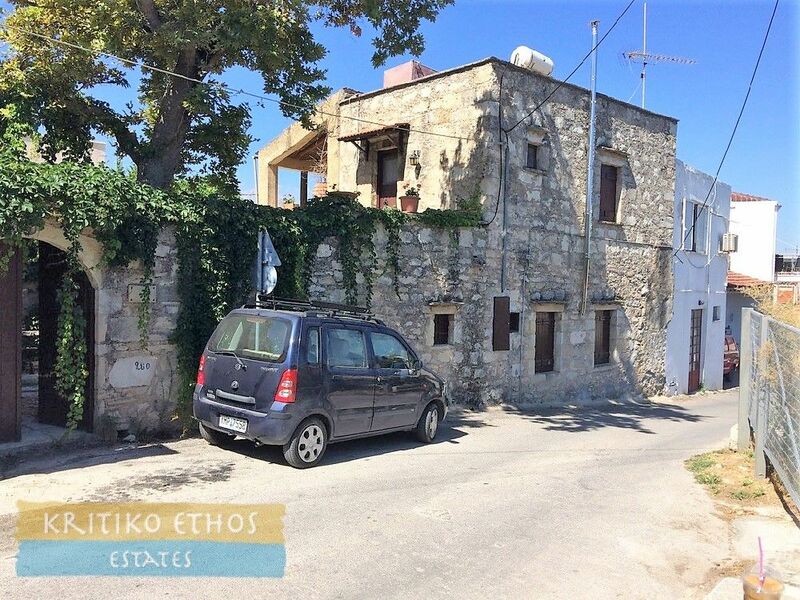 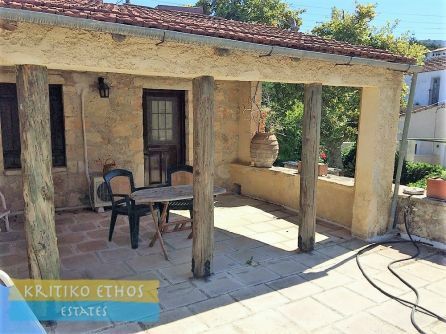 For sale in Gavalochori: Award-winning traditional Cretan villa just steps from the village centre! 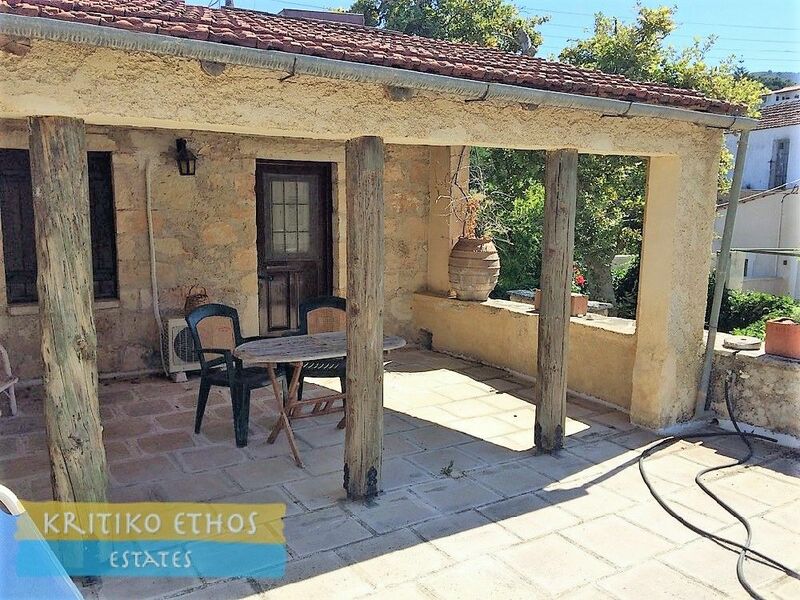 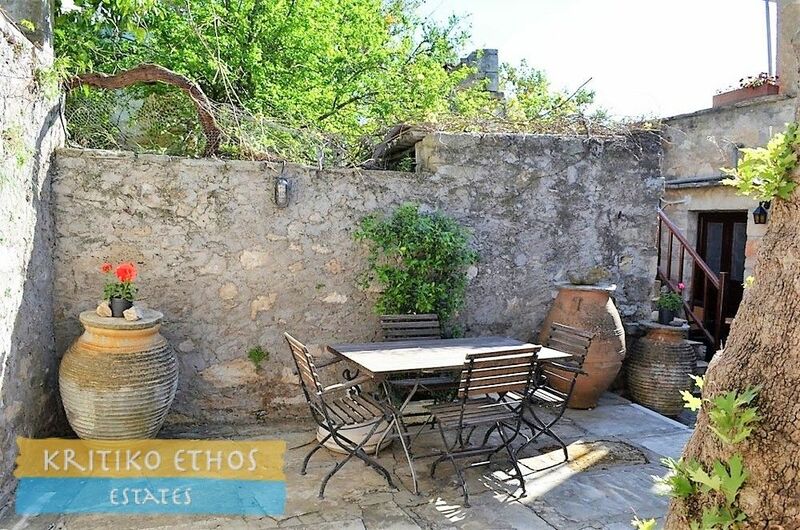 Home > Homes And Villas > For sale in Gavalochori: Award-winning traditional Cretan villa just steps from the village centre! 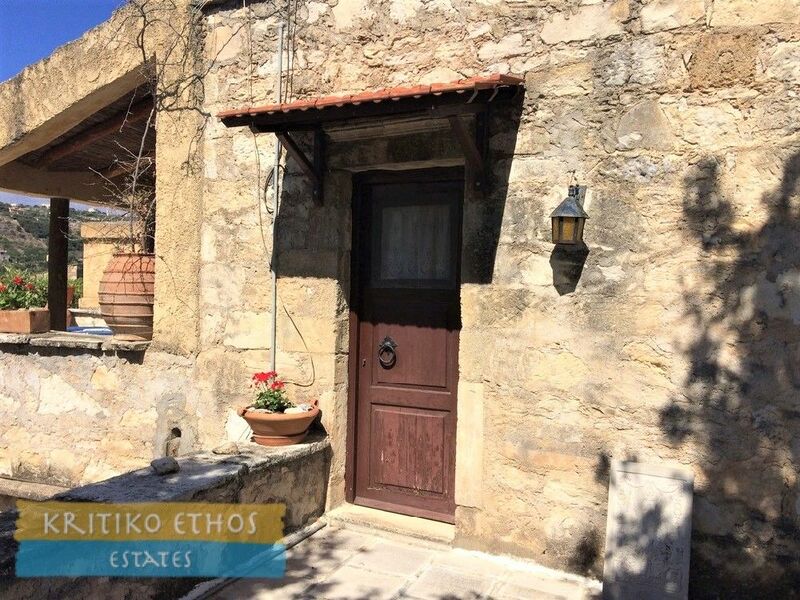 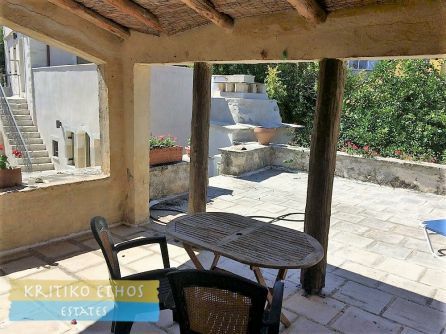 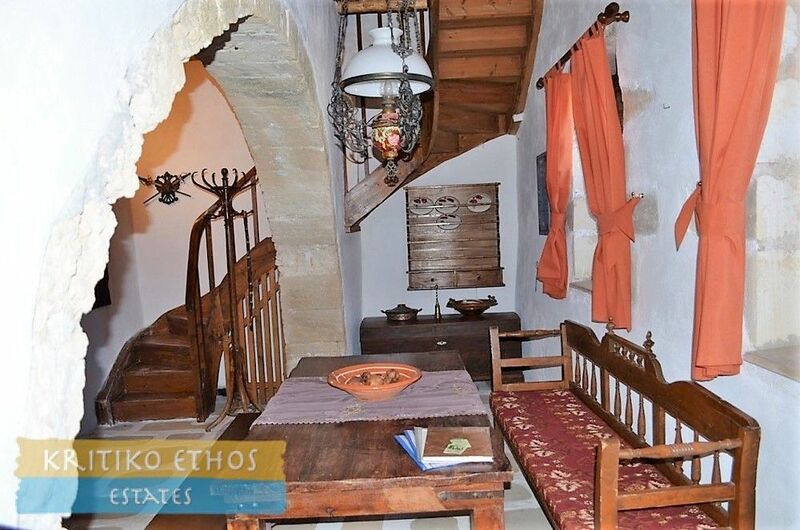 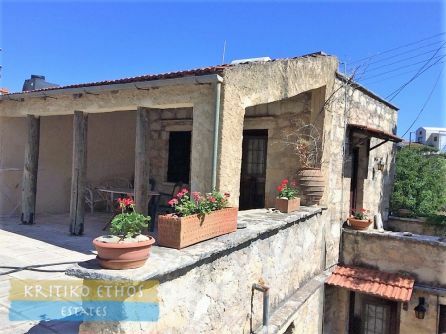 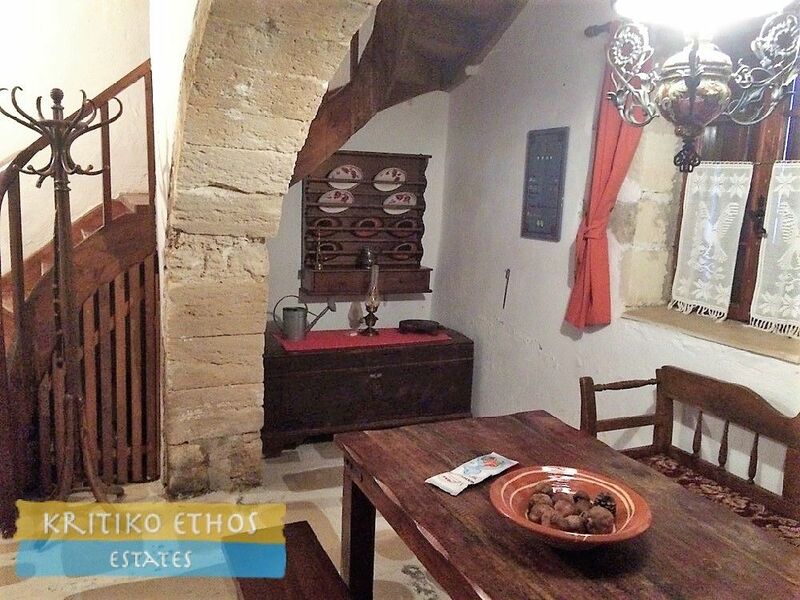 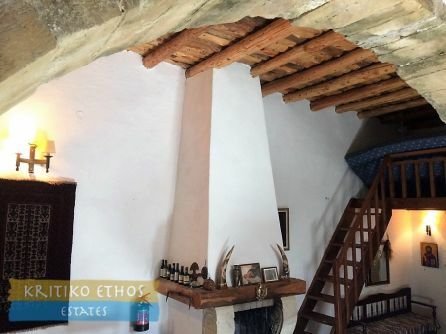 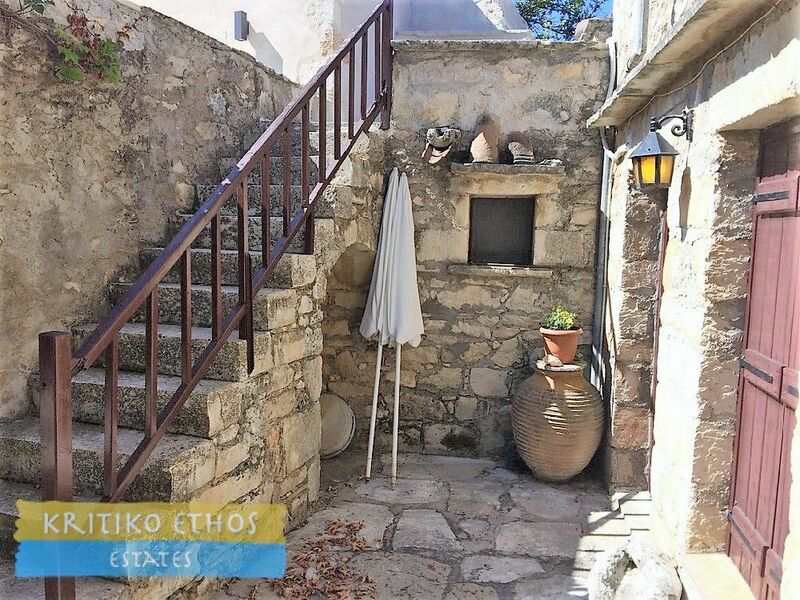 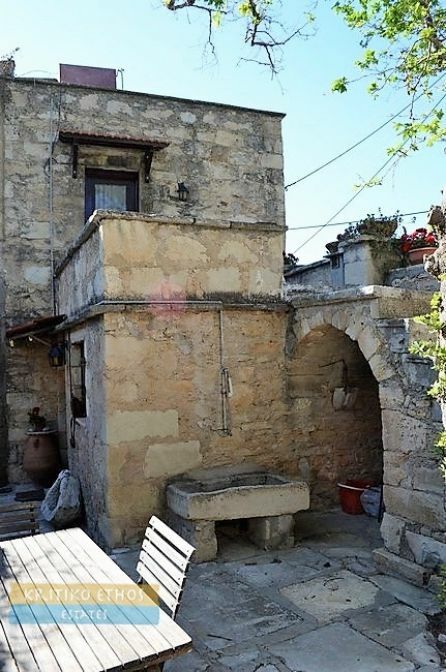 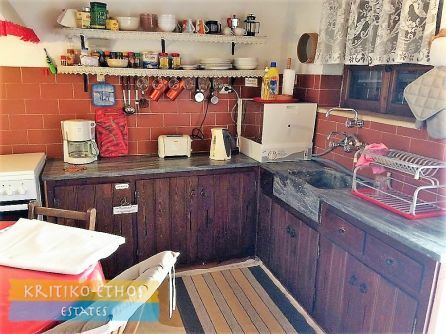 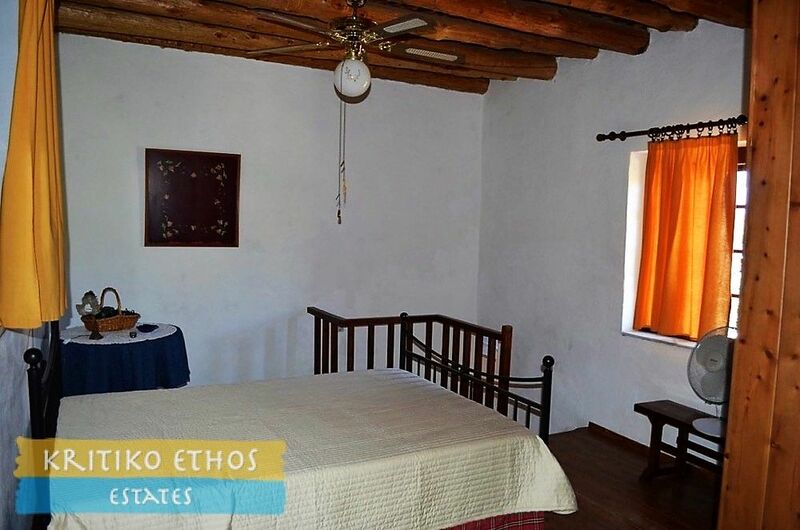 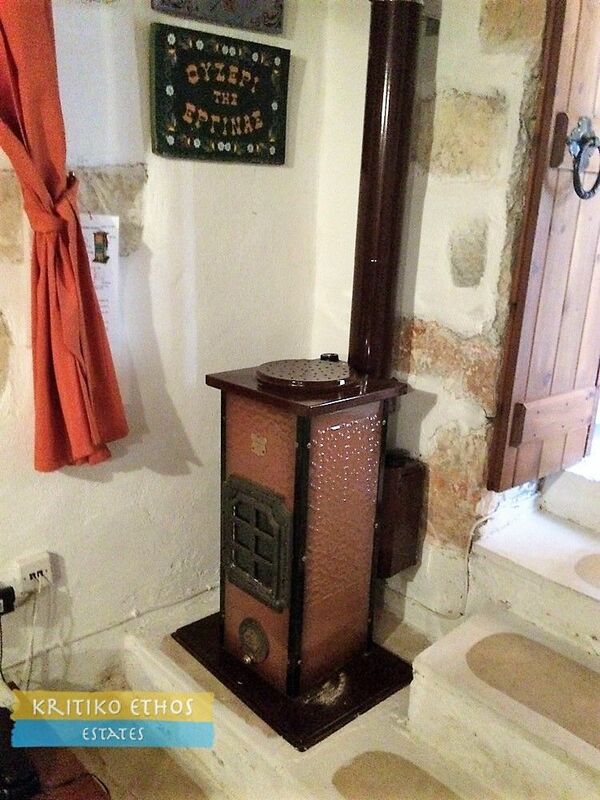 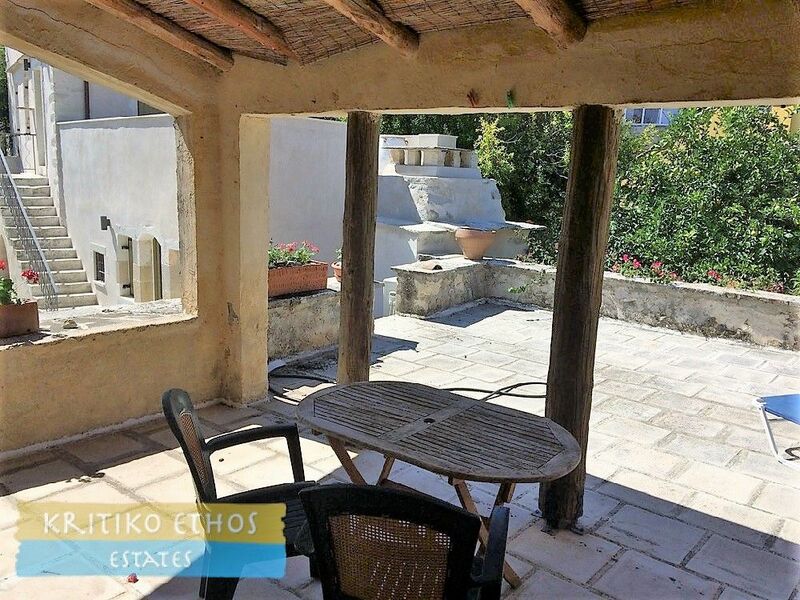 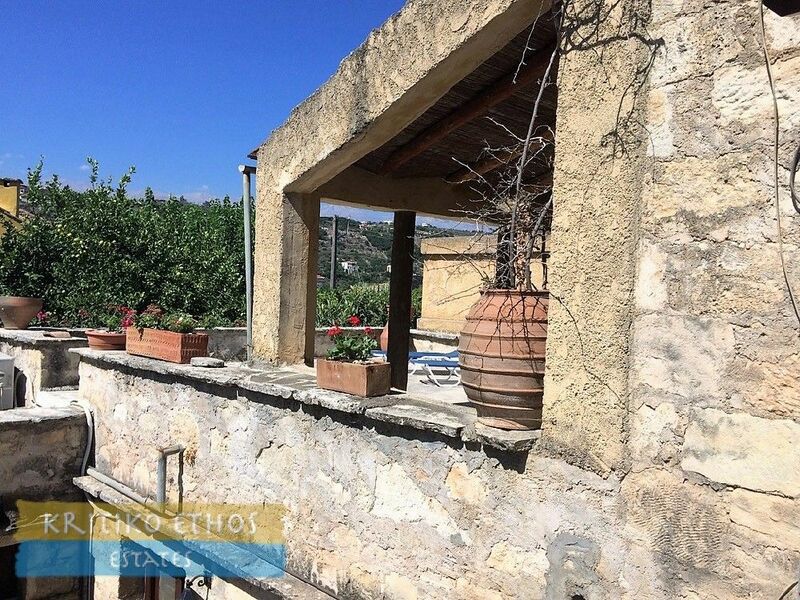 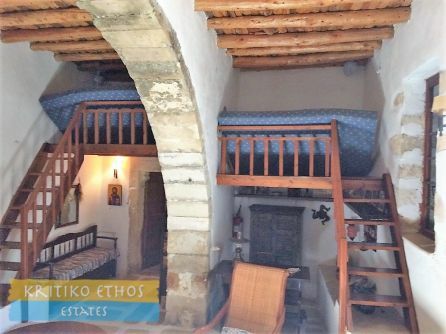 This professionally restored 145 sqm villa is a perfect example of the traditional architecture of the houses of the area of Apokoronas, the "kamarospito" meaning home with arches. Stone and cypress wood are the construction materials used for centuries and so it is with this villa. 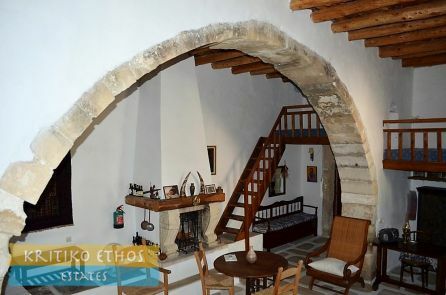 One can still see elements dating back to the 16th century (the carved stone doorway inside the house). 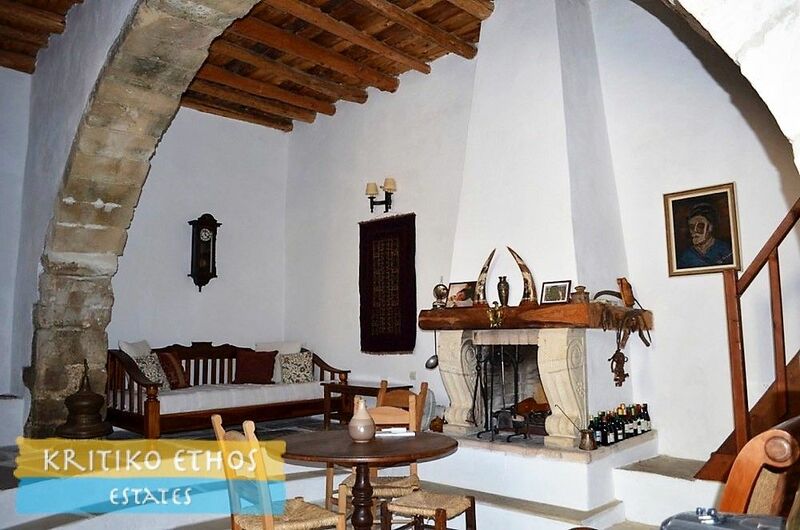 Two massive stone arches span the length of the sitting and dining rooms showing visible signs of centuries of use. 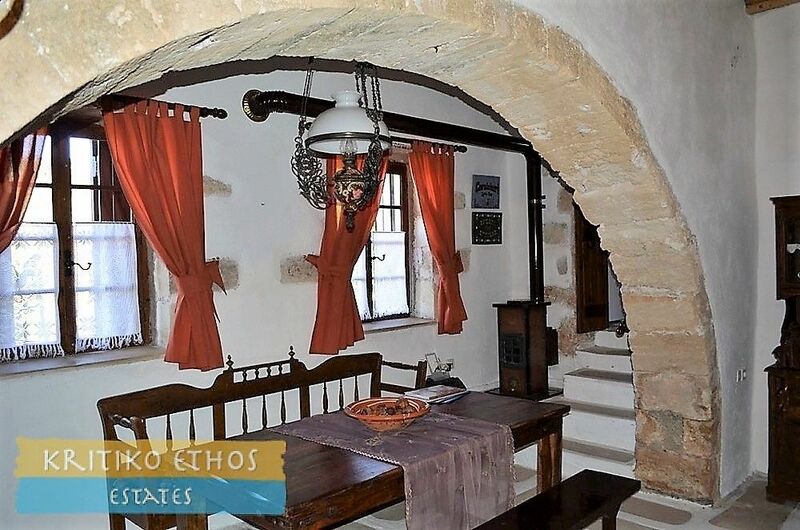 The villa has been awarded a prize by the Ministry of Culture for its restoration. 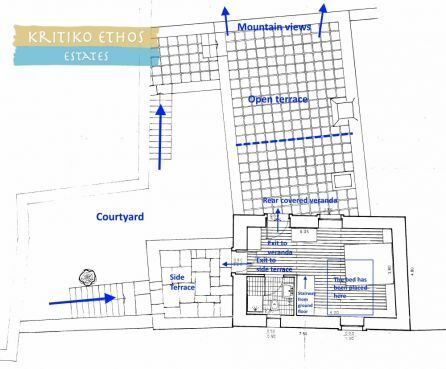 In addition to the home, the selling price includes a level vacant buildable plot of about 432 sqm just across the road. 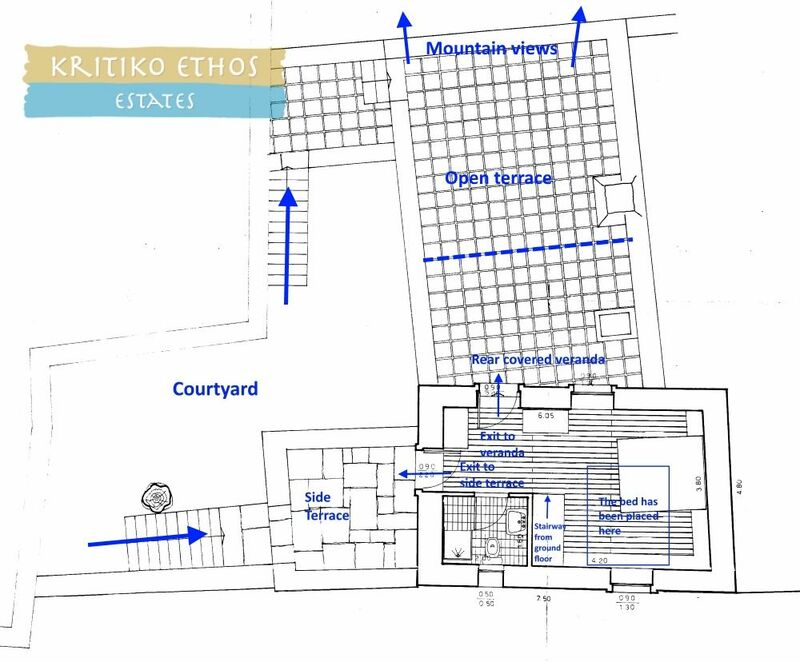 The new owners may choose to build a new home on this plot and enjoy superb rental income from the much sought-after traditional villa. 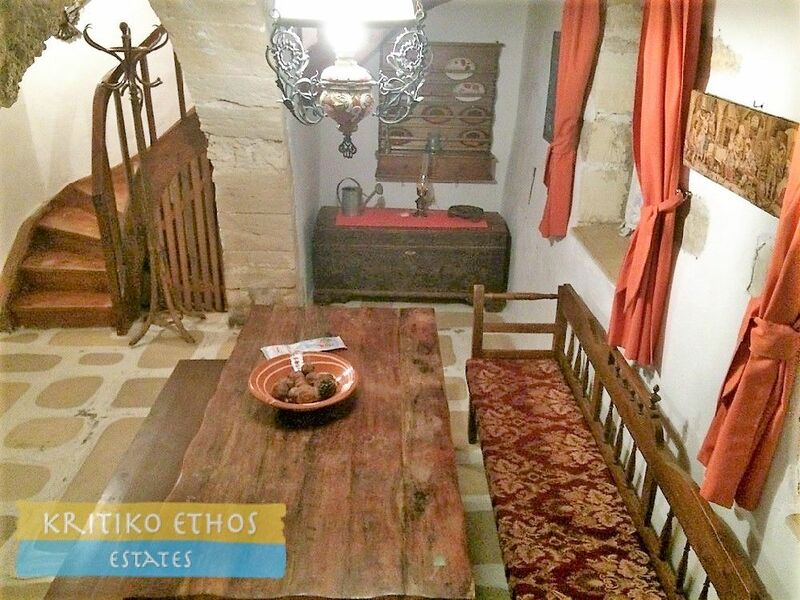 This home is truly one-of-a-kind and the adjacent building plot make it a spectacular opportunity. Located just steps from the village square, the entry gate leads to an enclosed courtyard, typical of the area, paved with flagstones and shaded by a plane tree. 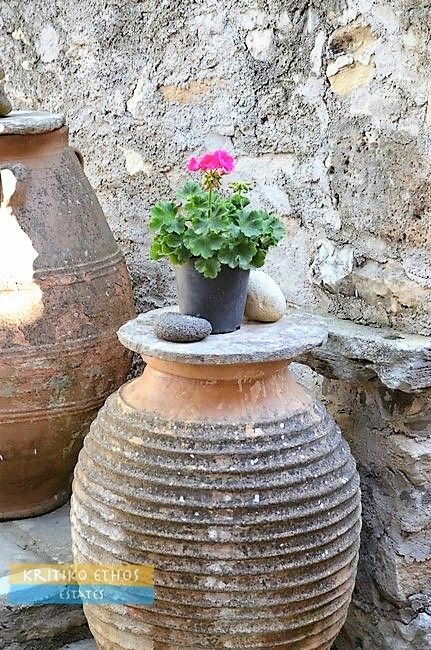 In the corners old earthenware pots, once used to store wine and oil, are now being used as decorative artifacts. 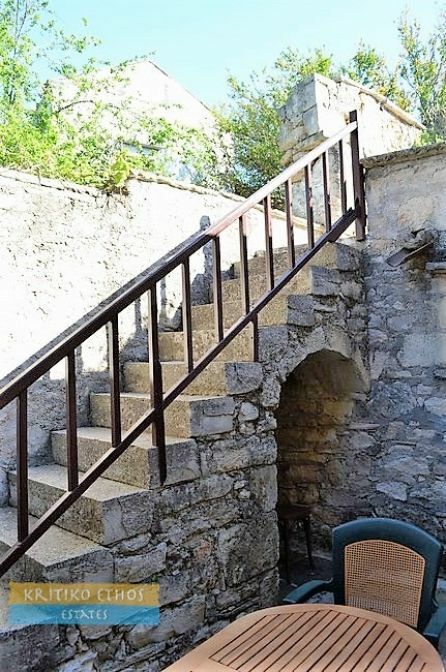 Stone staircases from the courtyard lead to the first floor terraces. Floor plans for the home are included in the photo gallery. 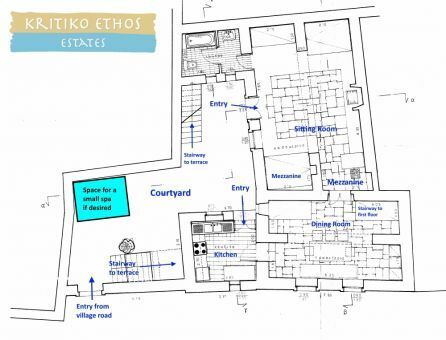 As shown on the ground floor plan, there is space for a Jacuzzi or spa in the courtyard. 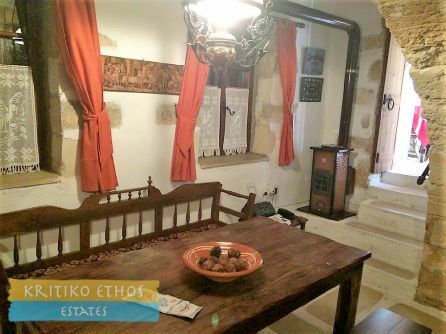 There are separate entry doors from the courtyard to the kitchen (once the stable of the old home) as well as the very spacious lounge. 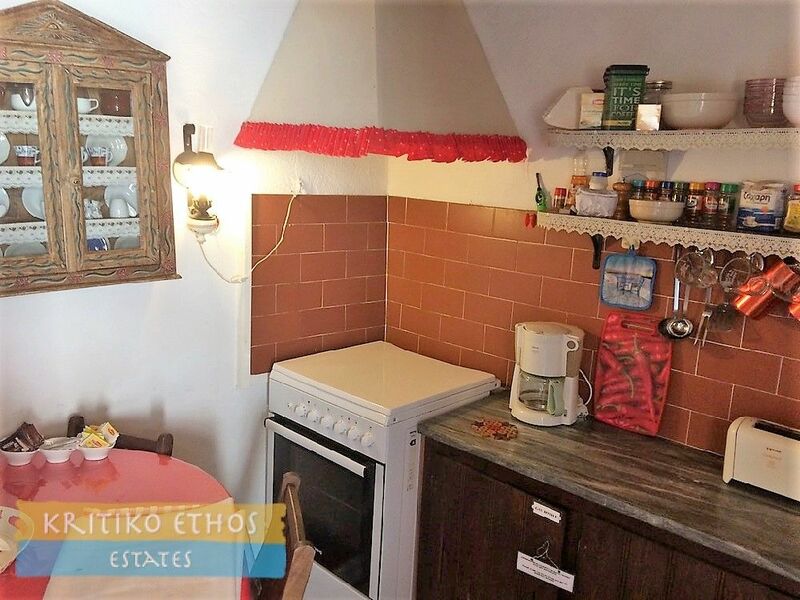 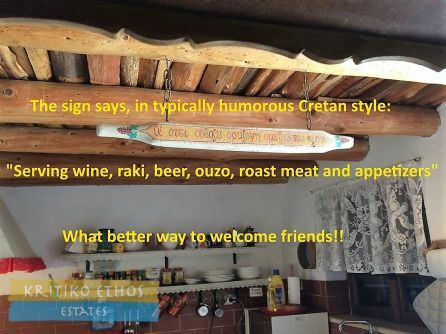 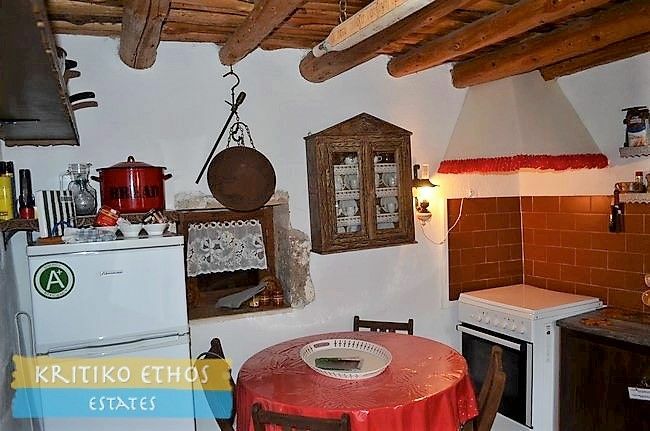 A sign hanging from the wood-beamed ceiling in the kitchen says, in typically humorous Cretan style: "Serving wine, raki, beer, ouzo, roast meat and appetizers." What better way to offer a very traditional Cretan welcome to friends! 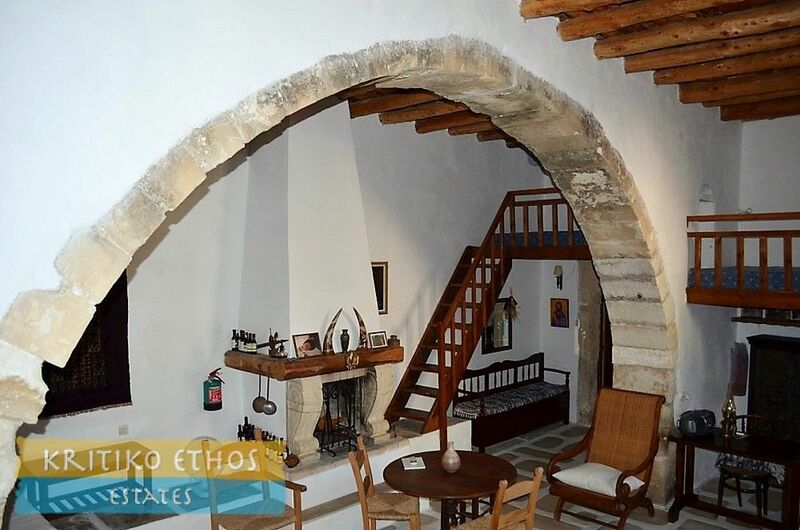 From the kitchen three stone steps lead to the dining room and from there, through the 16th century carved stone doorway, into the huge sitting room with its central fireplace and two loft areas, both reached by wooden staircases. 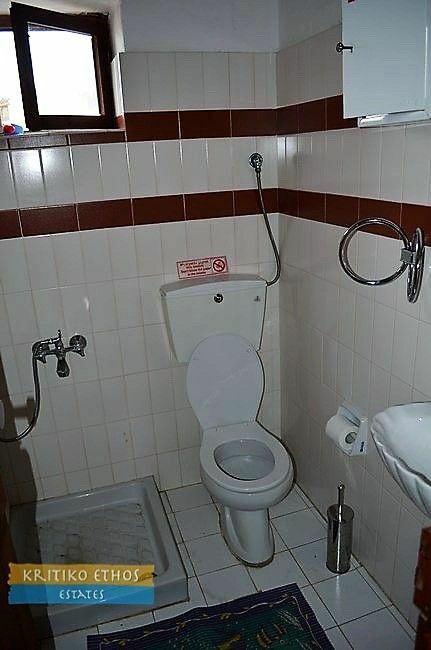 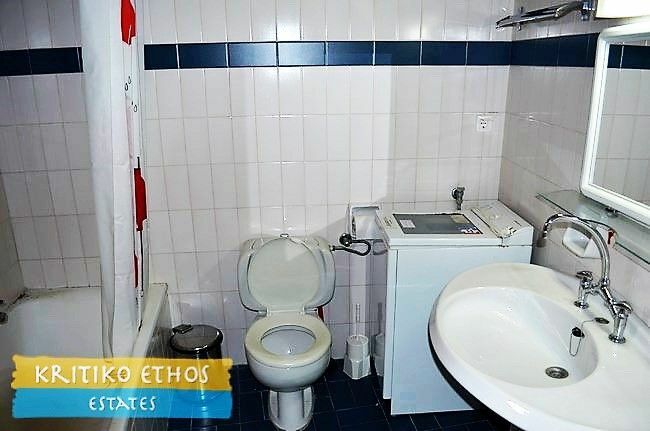 There is a full bathroom located off from the sitting room and the clothes washer has been conveniently placed here. A wooden staircase from the rear of the dining area leads to the first floor master bedroom with an ensuite shower room. There are exit doors from the bedroom to the very spacious rear terrace as well as the side terrace. 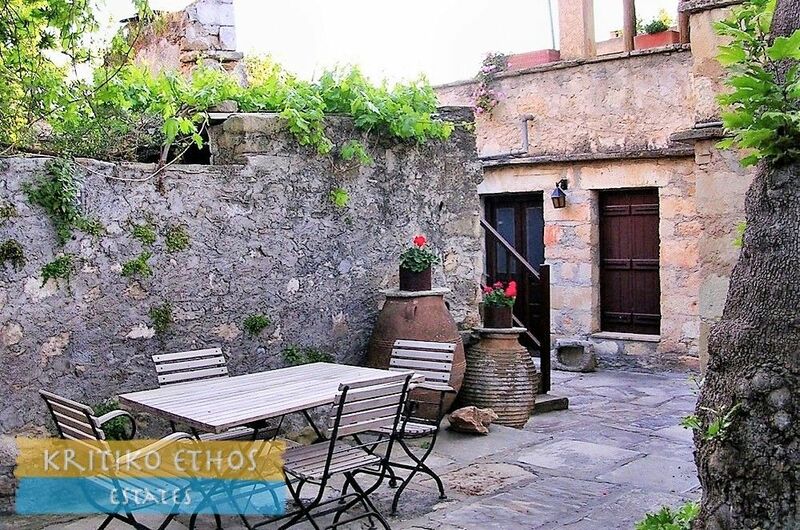 The rear terrace is partly covered offering a lovely seating and dining area throughout the day and into the evening. 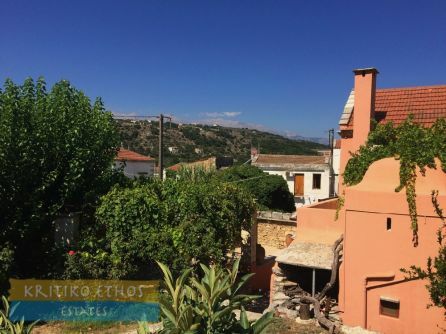 There are fine views from the terraces to the White Mountains as well as overlooking the very traditional village.